Smell what all the fuss is about! Lovers of our natural yet complex fragrances (to be experienced in our luxury candles 'for now') are total addicts. I vow your favourite will change with your mood..., but we know you can't just take our word for it (or the immense praise from beauty wellness experts across Cosmo, GH and YOU mag to name a few) and it's hard to take a chance on a name or an ingredients list... 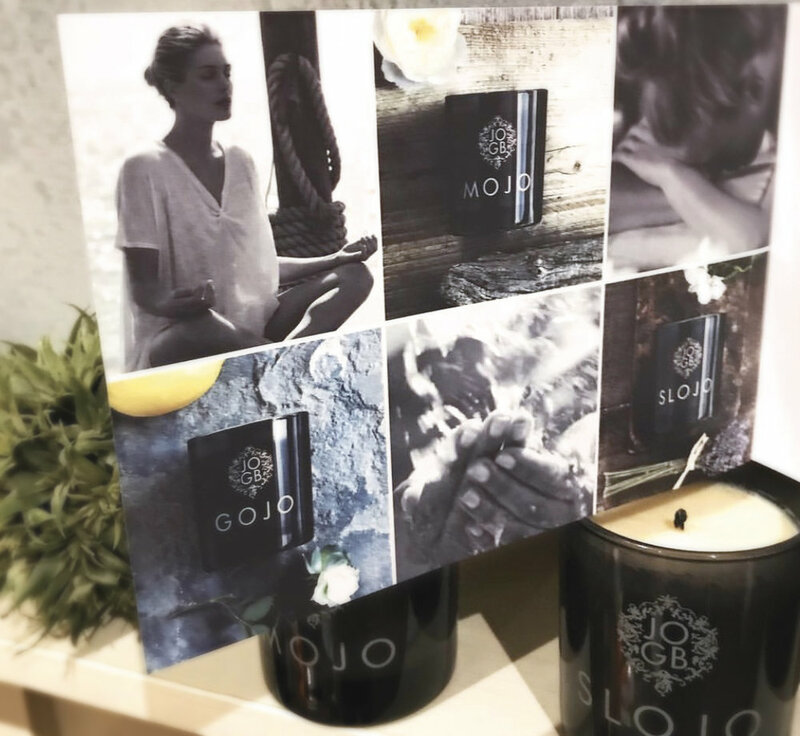 So, we want to experience our aromas: MOJO, GOJO and SLOJO. So, if you're tempted to buy, but really fancy a 'free' sniff first, especially as we know they're a little pricey (each candle contains 10% pure and exclusive essential oil fragrance - virtually unheard of we're told) ... subscribe below with your details and we will post a complimentary 'hand-dipped' aroma card of your chosen scent, to your address (it's kept only with us, nowhere else). Think 'that's a good idea JOGB'? We think so! We'd love you to get in touch and tell us what you think afterwards too.